This classic Geography in the News by Neal Lineback has been re-released on his Lineback World View site. 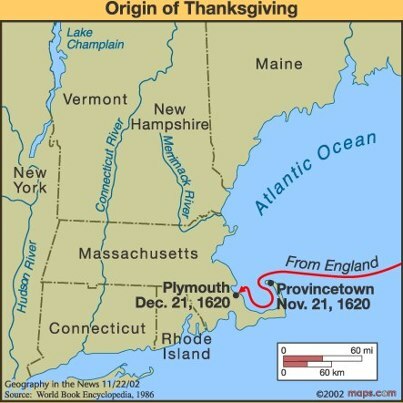 This is an excellent lesson for K-12 educators to prepare their students to understand the historic and geographic context of Thanksgiving. On the NOAA website, simply move your mouse back and forth over each image to view the “before and after” comparison. “Before” image captured by Google; “After” image captured by NOAA’s National Geodetic Survey.